Some people seem to accomplish it all… quality time with their families, a strong performance at work, time spent on hobbies and personal pursuits, and completion of the necessary chores and errands of everyday life. How do they manage to achieve so much, often seemingly without effort? While reaching peak productiveness requires a range of good lifestyle habits and a positive outlook on life, one thing that most productive people share in common is a bedtime routine that not only eases them into quality sleep, it also readies them for a strong start on the following day. If you’d like to accomplish more, it can’t hurt to adopt some of their most common bedtime habits into your own nighttime routine. Instead of zoning out on a Netflix binge or racking up points in Candy Crush, most productive and successful people spend time reading before bed. While they might often read books or articles related to their work, they also enjoy fiction and nonfiction on a wide range of topics. Not only is reading a great way to immerse yourself in another world, learn about the world you live in or expand your knowledge on any topic imaginable, it also increases your creativity, vocabulary and general thinking skills. For the best sleep, stick with old-fashioned paper books and magazines, or use an e-reader that is not backlit—glowing screens inhibit your brain’s production of melatonin, the hormone that regulates your sleep cycle. Would you like to spend your time effectively? Then take a page out of the most productive people’s handbooks, and plan and prioritize the next day’s activities before you go to bed each night. Whether you use an electronic planner on your phone or computer, or simply write a to-do list on a small pad of paper, the act of reviewing your schedule lets you see at a glance what you must accomplish, what you MIGHT be able to accomplish and what is better left for another day. You’ve heard the saying and you know it’s true, “No one on their deathbed ever wished they’d spent more time at the office and less with their family.” Truly successful people are just that: successful in all aspects of life, not just monetarily. Although there will always be days (or weeks, or even months) when demands of work take more time than you’d like, your family deserves more than just your “spare” time. Take at least a few minutes each night to talk to your teenaged child — even if you don’t get much more than a grunt in reply—read a bedtime story to your toddler or listen to your spouse talk about his day. Those are the moments that ground you, refresh you and help you face life’s many demands. A quiet mind is the forerunner to a good night’s sleep. Productive people know that it isn’t always easy to shut off daytime worries when it’s time for nighttime re-energizing, so they practice some form of mind taming before bed. That might be as simple as a few minutes spent praying, reflecting on the many things you have to be grateful for, or writing in a journal. Or your bedtime mind soother might be a regular meditation or yoga routine. It doesn’t really matter which you choose, as long as it works for you, you practice it regularly and it leaves you feeling soothed, not stressed. Productive people don’t get that way by dragging themselves through the day, eyes open only thanks to an overly large cup of coffee. Instead, they make sure to get enough sleep each night. 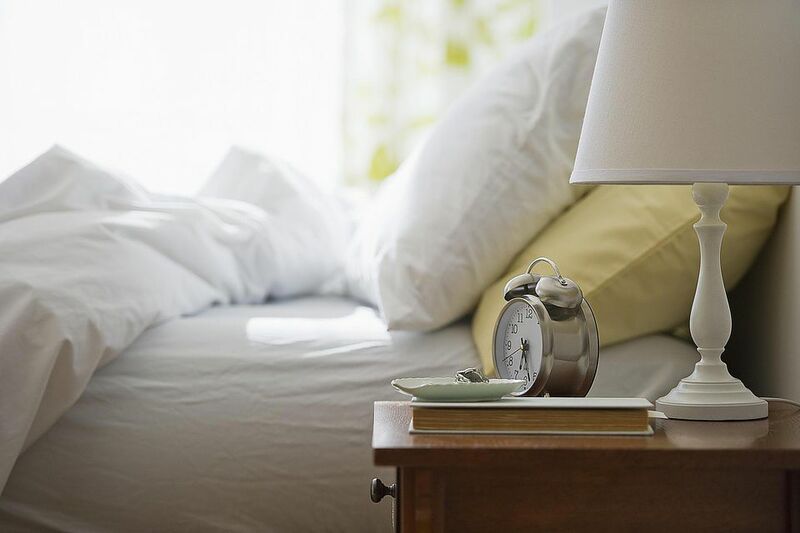 Sure, there are always going to be occasional lapses—vacations, work projects, illnesses and family demands can all wreak havoc on your sleep time. But as a general rule, those who make a productive day a priority know that it takes a regular seven-to-eight-hours of quality sleep every night to make that happen.